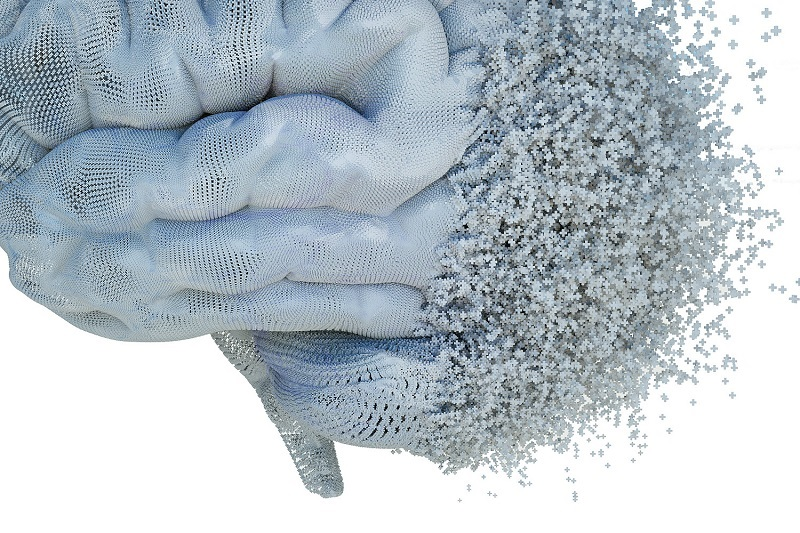 Work begins on turning an ApoE4 Alzheimer’s brain into an ApoE2 Alzheimer’s brain. Today, more than 5.1 million Americans live with Alzheimer’s disease, a devastating type of dementia that plagues memory and thinking. That number is expected to triple in the coming decades. Moreover, according to a 2012 survey, Americans fear Alzheimer’s more than any other disease. Alzheimer’s disease is a unique brain disease in that it begins with a very long preclinical development phase, 10 to 20 years, before it can be clinically diagnosed. During this long prodromal period, the brain undergoes many changes including two major ones, decreased glucose utilization and increased amyloid deposition. Currently, there is no cure for Alzheimer’s disease. To-date, five available Alzheimer’s disease drugs were all approved by FDA 10 years ago, and they provide only temporary symptomatic relief for an average of six to 12 months. Over the last decade, more than 100 human trials aimed at Alzheimer’s disease treatment have been conducted with little success. Now, researchers from University of Kansas have provided a breakthrough investigation into human ApoE2, a seemingly protective apolipoprotein created by the ApoE gene, a gene associated with Alzheimer’s disease risk. Previous studies show that human ApoE is polymorphic and exists in three major alleles, ApoE2, ApoE3 and ApoE4. ApoE2 is a rare form and is considered neuroprotective. ApoE3 is the most common form and considered to play a neutral role in AD. ApoE4 is the greatest genetic risk factor for late-onset sporadic AD, ApoE4 occurs in only about 20 percent of the total population and accounts for approximately 50 percent of the Alzheimer’s disease population. Previous research has mostly targetted ApoE4; many of them focused on ApoE4-mediated neurotoxic mechanisms by comparing ApoE4 to ApoE3, or ApoE4 carriers versus non-ApoE4 carriers. By contrast, the the lab note that ApoE2 has largely been ignored with only a few published studies. The current study investigated what makes ApoE2 carriers resistant to Alzheimer’s disease. The team’s strategy was that if they could figure out the mechanisms that underlie ApoE2-mediated neuroprotective properties, then they could translate the molecular understanding into a therapeutic strategy aimed to transform an aging brain; in particular an ApoE4 brain into an ApoE2-like brain. The lab state that such a strategy could essentially increase the defense ability of the aging, ApoE4 brain against the development of Alzheimer’s disease. The researchers also hypothesize that several factors could have contributed to the current trend of lost-in-translation from preclinical findings in animal models to trials in humans. The lab explain that Alzheimer’s disease animal models are usually early-onset familial Alzheimer’s-disease-related models. They go on to add that these don’t accurately model the majority of human Alzheimer’s disease cases which is the late-onset sporadic Alzheimer’s disease; the most common form of Alzheimer’s disease representing over 95 percent of the current human Alzheimer’s disease population. The team state that another possibility could be that when the disease gets to the mid-to-late stage, the damage in the brain is too advanced to be altered by the drugs tested in those trials. The researchers believe the trend of clinical failures stresses a tremendous need for the development of strategies that can be used for prevention, risk reduction or early intervention at the preclinical stage of the disease, in addition to continuing the effort of finding an effective treatment. The researchers surmise that their study opens up a new line of research for the global medical community. They go on to add that they’re currently expanding investigations to further test the hypothesis that bioenergetic robustness could serve as a major mechanism where ApoE2 delegates neuroprotection. For the future, the lab state that if their hypothesis proves true, they can move forward with the idea that a strategy that enhances brain energy metabolism holds great promise for prevention, risk reduction or delaying the onset in an aging brain, in particular an ApoE4 brain, of Alzheimer’s disease. Illustration – alzheimer’s illustration. Sinelab 2015.